The HillBenders are Mark Cassidy, Nolan Lawrence, Gary Rea, Chad “Gravy Boat” Graves, and Jim Rea. South By Southwest music festival co-founder Louis Myers approached the HillBenders to tackle The Who's rock opera "Tommy" several years ago. Myers produced the album and managed the accompanying tour until his death two years ago. 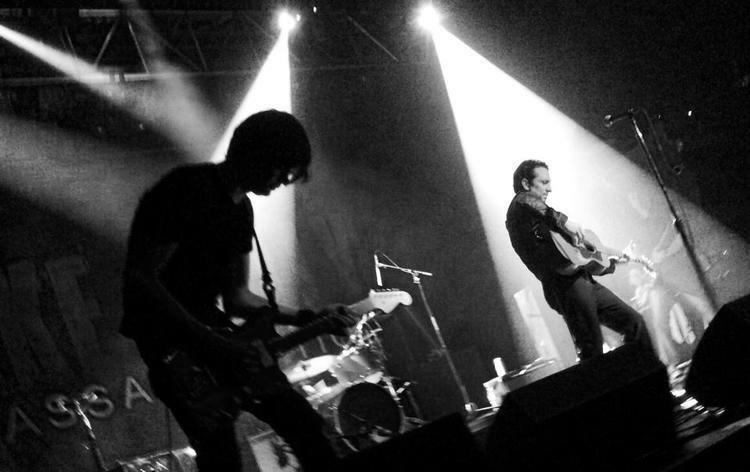 HillBenders guitarist Jim Rea says Myers untimely death was a blow to the band, but the group decided to continue his vision, as he was central to both the show and the band. "If it wasn't for him, I'm not sure what we'd be doing right now," said Rea. "He was a huge part of moving on and up, and opening a lot of doors for us." HillBenders bassist Gary Rea with guitarist Jim Rea. As odd or even blasphemous to traditionalists as the adaptation may seem, the young Springfield, Missouri-based quintet see it as a natural extension of their "make bluegrass hip again" mantra. "We're not exactly bluegrass traditionalists," said Rea. "A lot of people come to the music through family and our dobro player did have that upbringing in the traditional bluegrass and country world. But the rest of us had other musical influences, rock and roll and classic rock in particular on my end. My folks' record collection when I turned 12, 13, 14 got drug out, and next thing you know I'm living those records basically every day." He knew The Who growing up and was very aware of "Tommy" as a teen. "My mother took me to see it after I got into The Who and other classic rock. The Broadway show came to our community theater and I fell in love with 'Tommy' and got the CD the next day. The other guys knew The Who but didn't know 'Tommy' as much, but we all trusted Louis," said Ray. As much of a fun fest as it sounded to transform the iconic rock opera into a rock opry, there were challenges. First there were 25 songs to learn, though to be fair, many are quite short. With two group members based in California, they used the Internet to send emails, charts and demos back and forth. There were also a lot of vocal harmonies that needed to be worked out. "But that wasn't as tricky as trying to fill the Keith Moon void," said Rea. "The Who's drummer was eccentric, ecstatic, excitable and a big part of The Who sound. Trying to fill that was difficult, but our acoustic instruments had some percussive qualities that leant itself to that. And our dobro player Chad Graves, we call him the 'Keith Moon of the dobro.' He's very percussive on his instrument and very excitable." There were aspects of specific songs that needed to be worked through. Rea mentioned the vocal part on "Cousin Kevin," the song about Tommy's evil cousin who tortures him when babysitting. "It was tricky because the song wasn't necessarily key centered, meaning it would switch keys with basically every chord change in the first half of the song. So we had to follow that vocally, and it took some time to work it out," said Rea. Despite the need to "grassify" the show to their instruments, The HillBenders didn't want to strip the opera of its original vibe. "We didn't want to make it too hokey or sound like kickin' hay bales around square dancing-type feel," said Rea. "We want a true Who fan to be able to respect and enjoy it still today." 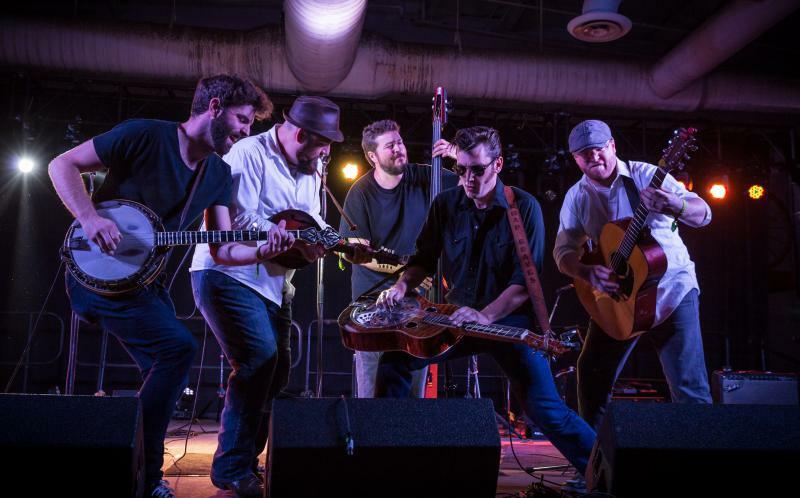 The HillBenders bring their version of "Tommy" to Sangamon Auditorium in Springfield on Friday, March 23. Show time is 8 p.m. Listen to an excerpt of the GLT interview with Hillbenders guitarist Jim Rea. 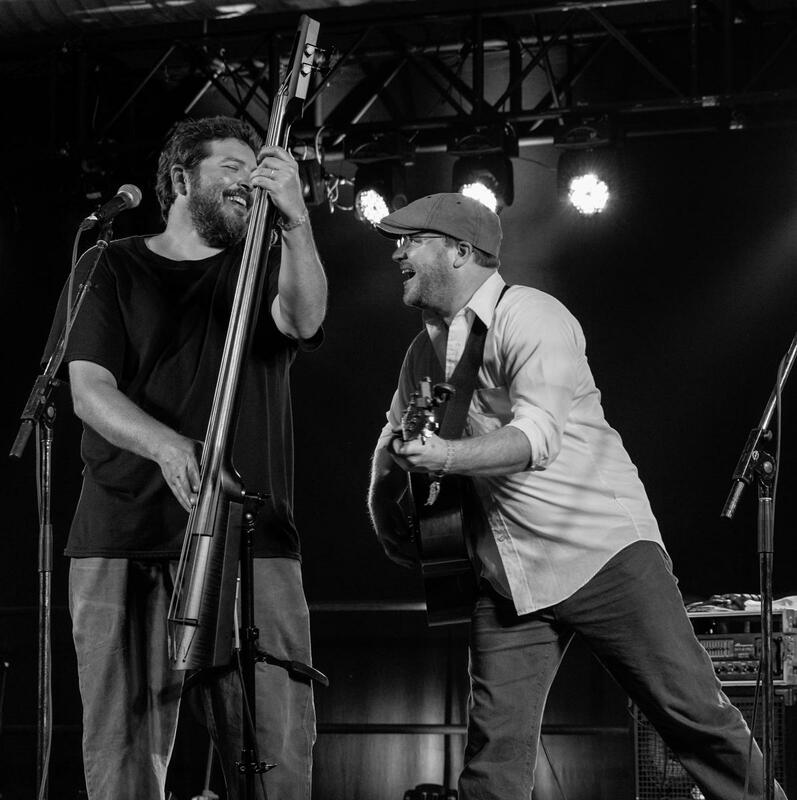 Listen to the entire interview between Jim Rea of The Hillbenders and GLT's Jon Norton.